You can either extend the loan period for specific items or extend all items via the “Renew all” function. Please always check that the loan periods of the selected media have been extended. If an extension is not possible, the reason for this will be shown. Also be sure to print out a receipt. If you have any questions about why you have been unable to renew your items, please contact one of our staff. At the library: You can extend your loans yourself at the check-out terminals or catalogues. Only the check-out terminals will issue you with a receipt for the new loan periods. On the Internet**: You can manage your library account and renew your loans at www.voebb.de. By letter/fax/email: You can also request an extension in writing. To do this, please provide your library card number, and also advise whether it is just ZLB materials or also materials from the VÖBB that is to be renewed. You will receive written notification by post regarding the ZLB materials. If the web service is unavailable for technical reasons and you are unable to renew your materials, you will not be held liable for any overdue material. In these cases, please contact an affiliated library directly. Loans may only be extended once half the borrowing period has passed. The new loan will start from the day of renewal. You can renew your items twice, provided they have not been reserved and your library account has not been locked. Items which have already been renewed twice may be borrowed again at one of the VÖBB libraries. Sculptures, photographs, graphic design and oil paintings from the “Artothek” may only be extended for one additional 28-day period once the first three-month borrowing period has passed. They may be taken out again on a new loan. These cannot be renewed to make sure that as many users are able to access them as possible. *Interlibrary loans are only ever extended subject to conditions. We reserve the right to shorten the loan period at any time if the supplier library objects to the extension or requests the title be returned due to a reservation. 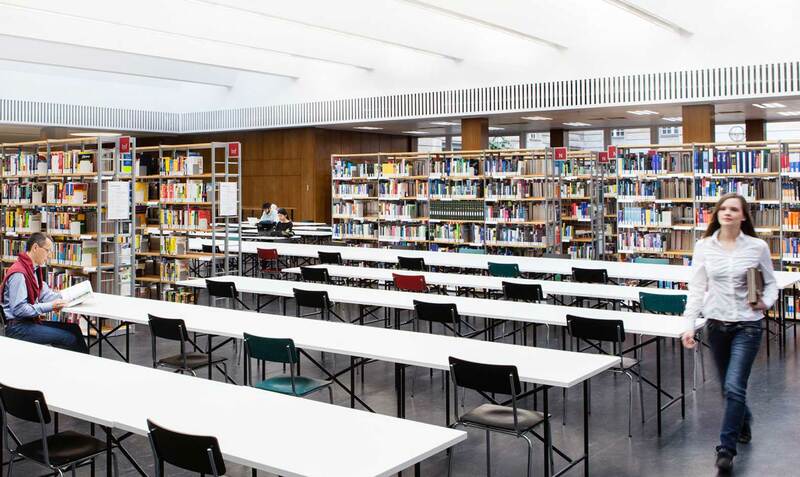 To reborrow items, they must be handed into the ZLB or an affiliated VÖBB library. You will need your library card and password for this. Place each item individually on the self-service machine and press the “Renew” button. You can also place multiple items onto the machine at once, then press the “Renew all” button. If the loan period has already elapsed at the time of renewal, a fee will be charged. This fee is 0.25 Euros, or 0.10 Euros for children and schools students, per overdue calendar day and per item. Please note that your library account will only be charged the fee amount once the items have been renewed!